Most of travelers taking long-haul international flights across several time zones suffer from jetlag. Many of our customers flying to India from USA complain of the same, too. They are not aware of how to avoid jetlag. Tips to avoid jetlag are some dos and don’ts before, during and after a flight. Right eating, proper sleeping, limited caffeine intake, reduced alcohol intake and likes are useful tips to alleviate jetlag symptoms including red eye, irritability, itchiness, sleeplessness, etc. We are sharing a complete checklist of dos and don’ts regarding how to evade jet lag, at behest of our customers booking their USA to India flights at Indian Eagle. Do avoid overeating and curb caffeine intake for twelve hours before the scheduled flight departure. Overeating before or during the flight may cause you to suffer jetlag due to uneasiness in the stomach. Excess caffeine intake just before or during the flight will keep you awake when your body badly needs sleep to beat jetlag. A cut on the onboard sleep time will add to jetlag during long-haul flights. Flying overnight is the best way to avoid jetlag. You can have your usual dinner at regular hours before catching the overnight flight or you can take inflight dining sometime after boarding the plane. An overnight flight does not disturb your regular dinner hours, which in turn ensures no jetlag. Flying overnight also makes it possible to keep up with your normal schedule on arrival at the destination. Stay hydrated throughout the flight from departure till arrival. Drink water in moderate quantity every hour of the flight even though your throat is not chocked by thirst. Use a prescribed eye drop to keep your eyes hydrated in the air. Do carry a moisturizing lotion in your carry-on bag so that you can apply it to hydrate the skin of the bare parts of your body during long-haul flights. Major international airlines provide inflight kits with moisturizing lotions, lip balms and hydrating sprays, in the First and Business travel cabins. Limited alcohol intake is how to avoid jetlag during long-haul flights. Cabin air dehydrates the body, and adding to that is the dehydrating effect of alcohol at high altitudes. It is said that one glass of alcoholic drink on board is equal to two or three glasses of alcoholic drink on ground. A glass of cocktail may make you feel relaxed, but it will dry you out at the same time, aggravating jetlag symptoms. 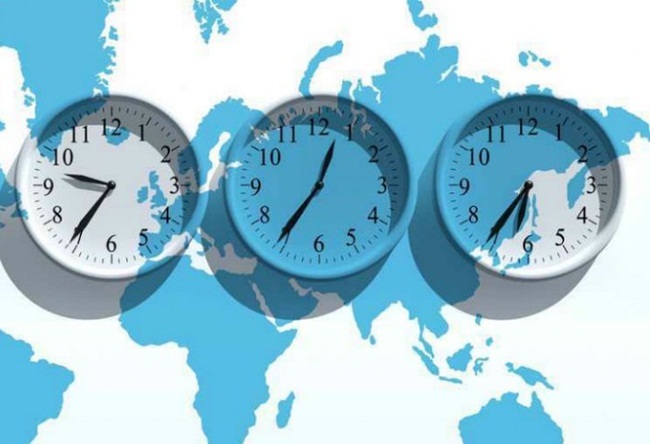 Tuning your internal clock for a few days before the scheduled departure to make your usual eating and sleeping hours with those at the destination helps to evade jetlag on arrival. It also helps get along with the local time and stick to your daily routine without any mood swing. Having normal sleep during an overnight flight or a flight from west to east helps beat stress of jetlag. Needless to say, traveling on long-haul routes is tiring. Sleep prevents tiring effects of long-hour air travel from affecting the body. Make sure to use frequent flier miles from the airline and redeem reward points from the travel booking agency (if you have accumulated) in exchange for a good discount on travel in the Business Class so that you can comfortably sleep on a reclining seat. If you have got a window seat on the cheapest flight from USA to India (a long-haul international route), do carry a makeshift pillow that you can use as a prop to lean your head against the sidewall. You can avoid jetlag even if you can’t afford more than a cheap Economy flight ticket. You need to select your seat in the Economy travel cabin wisely, at the time of booking. A strategically selected seat with adequate legroom can make you suffer less. These days, a few major airlines including Singapore Airlines offer wide seats in their Premium Economy cabins. If there is some free space beneath your feet, you can stretch yourself to sleep in a seemingly plank position. That’s why traveling light is advised. Intake of melatonin, a nonprescription drug, is another how to avoid jetlag. Studies suggest that melatonin supplements help the body use its melatonin hormone to adjust the internal clock in accordance with different time zones that you will travel across during a long-haul international flight. Consulting a physician regarding melatonin intake is advisable if you are a patient of some chronic disease. Do avoid going to bed as soon as you reach your hotel unless it is late evening or night when you land at the destination. If you are too tired of the flight to wait for your usual bedtime, a short nap will help you do away with the stress of jetlag. If you get into sleep long before bedtime, stress from jetlag may build up during sleepless hours overnight. Do fuel your body with light food and feed the taste buds on an easy-to-digest meal on the day of your departure. Do neither plan sightseeing nor go for driving on your arrival day itself. The day of arrival at the destination is not the only day to visit immortal tourist attractions. If you are flying on a business trip, it would be better to arrive one day before the scheduled meeting or conference. Watching a movie on board will help to get asleep is a wrong conception. It just does the opposite most of the times. It is suggested to turn off your cell phone, laptop and any other portable gadget that you usually carry before one hour of your usual bedtime. The blue-spectrum light from the screens of these gadgets keeps the cerebral and optical nerves so active that sleep is delayed. That’s why British Airways introduced a very slow inflight video to make travelers fall asleep on board during long-haul flights. Having right conceptions helps to avoid jetlag and ensure comfortable flight. Indian Eagle is a trusted name for online booking of cheap flight tickets to India from USA. Do book your trips to India, like other Indian Americans, at the lowest airfare guaranteed by Indian Eagle.